After a Thanksgiving spent with relatives, I found myself thinking about the polarization present in our society. NCR ran a great story last week on “Healing Polarization in the Church” and the NY Times a funny piece entitled “How To Have a Conversation with Your Angry Uncle.” It’s on our minds as the toxic political and media environments are seeping into our church. Clarity—what is said must be intelligible. Meekness rather than arrogance or offensive words. Confidence in the good will of both parties. The US Bishops pick up this theme in their latest pastoral against racism “Open Wide Our Hearts: The Enduring Call to Love” (2018). We are challenged to create faith communities in our schools. And building faith communities means more than giving our students valuable formative experiences. It means that the adults must commit to listening, respecting, and loving one another. Gary Umhoefer, the retired HR director at St. Norbert, has a great article in the latest Journal of Catholic Higher Education entitled “Teaching by Example: Staff Interactions at Catholic Colleges as Behavioral Models of Christian Love.” He traces how the staff formation programs teach staff members to model Christian love and build community. After all, he asks, “If Catholic colleges cannot provide interpersonal examples to what it means to love one another…will students observe the personal choices this commandment demands?” (198). I was reminded of a quote from Educating Together in Catholic Schools, the Vatican’s 2007 document on education. As I read through the Church documents on education, I was struck by the use of “communion” instead of community in this document. “It is precisely the presence and life of an educational community, in which all the members participate in a fraternal communion, nourished by a living relationship with Christ and with the Church, that makes the Catholic school the environment for an authentically ecclesial experience” (14). Notice that the Catholic school is held up as an authentic experience of church (“ecclesial”). We are called to live by a higher standard. We are called to fraternal communion nourished by a living relationship with Christ. This isn’t about understanding and espousing the correct teachings, it’s about forging a true community. In Catholic schools, we often point to our family atmosphere and community as one of our strengths. And we focus on the student experience of community. But Educating Together calls us to a higher standard—meaning that adults should apply themselves to building community. Gossip, competition, jealousy have no place between teachers, between teachers and principals, between principals, between principals and the Central Office, or even between education departments of different Catholic universities. As we begin Advent, perhaps we could all benefit from searching for ways to build up each other in our Catholic school communities in order to form communion. For further study on the document, here is a link to the study guide and here is the direct link to the podcast I produced with Kristin Melley where we talk about Educating Together. Happy Advent! “The days are coming, says the LORD, when I will fulfill the promise” is how the first reading from Jeremiah kicks off Advent. And don’t we all hope for the safety, security, and justice which the prophet calls for? For me, Advent is a time when I can get in touch with my hopes, my dreams, my anticipations. 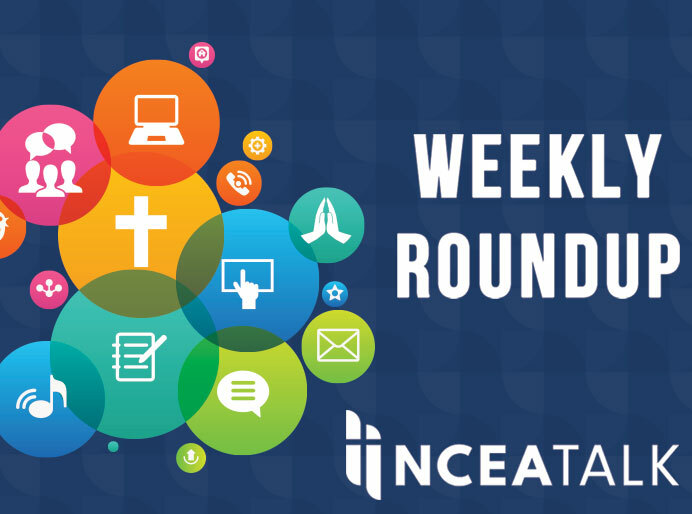 This week, I blog about the need for dialogue in our schools in order to foster stronger faith communities. We need healing and we need to lead through dialogue, not condemnation. This will be the only newsletter of the month. This will allow me to work on a few other projects and get ready for January when I’ll be publishing one a week to build up enthusiasm for Catholic Schools Week. I have to mention that I read Dopesick by Beth Macy this week in preparation for my podcasts this week on addiction and I highly recommend the book. It was heart-breaking, disturbing, and revealing. Put it on your reading queue. I’m putting together a great podcast for Wednesday, Dec 5th. 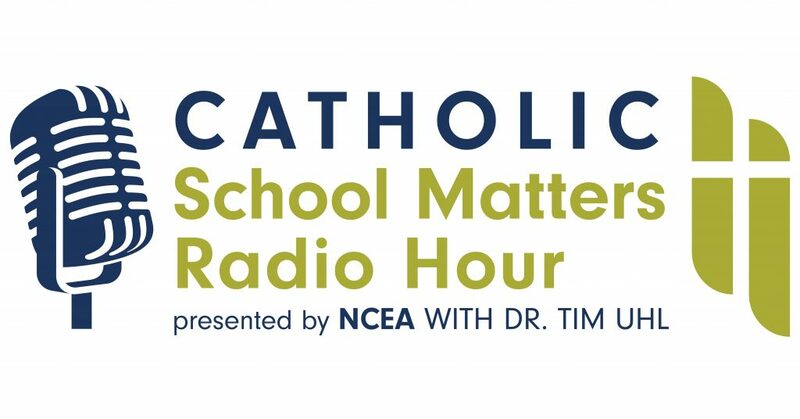 I’ll be joined first by my former guidance counselor at Creighton Prep, Steve Wertzberger, who will be sharing how the profession has changed over the past 4 decades. Then I’ll be joined by Dr. Brooke Tesche of the Diocese of Allentown, who is helping to open the Kolbe Academy for students in recovery. This brand new Catholic school is a labor of love and it’s a great story. Then best-selling author Jessica Lahey will join me to discuss the reality of teen addiction, the topic of her next book. To prepare for the interviews, I read Dopesick by Beth Macy and it’s a heart-breaking, informative, important book that I couldn’t put down.